Dr. James G. Zolzer, is a board certified OB/GYN and serves residents throughout the state of North Carolina, including the towns of Mooresville, Davidson, Huntersville and Lake Norman. He graduated from Georgetown University Medical School in Washington, D.C and completed his OB-GYN residency at Albany Medical Center of Union University of Albany, NY, and East Carolina University. Dr. Zolzer began his medical career in 1989, has opened multiple private practices and performed numerous lectures and presentations on the topics of obstetrics and gynecology. 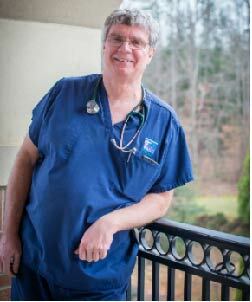 He has served as Chairman of Obstetrics and Gynecology and on the Medical Executive Committee at Lake Norman Regional Medical Center and joined Dr. Adams in 2005 to create a family of staff members and a comfortable and friendly environment where their patients can expect the highest level of care. Dr. Zolzer is vConfidence certified and utilizes the latest in technology and techniques to solve for incontinence, vaginal dryness, recurring infection, and laxity or loss of sensation. Dr. Zolzer has 4 adult children and many interests outside of medicine. Call or click ‘Book Online’ to schedule a vConfidence appointment with Dr. Zolzer or his dedicated team today.